Mario Zoots: Sweet show coming up this weekend. Sweet show coming up this weekend. Win Wear will be hosting it's next event Saturday, April 26th. 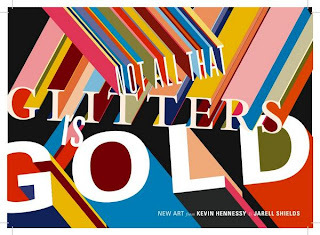 It will be an art opening featuring works from two of Denver's best up and coming artists, Jarell Shields and Kevin Hennessy from the SWS collective. Each artists will have large canvas pieces in addition to designing 60 limited edition T-shirts to be sold at the show. DJ Red C will be spinning records. Great Divide will be providing beer, and food will be prepared by Corey Elbin and Maggie Gulasey. 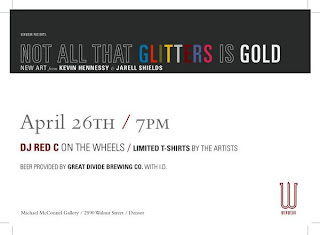 The event will be at 2590 Walnut St -Micheal McConell Gallery- (entrance on 26th St.) Denver, Co.